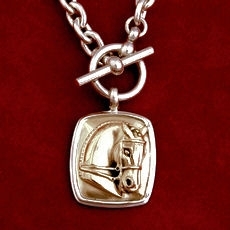 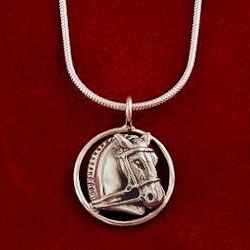 Classic horse necklace on 16″ or 18″ snake chain. 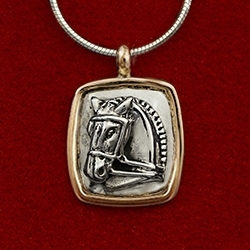 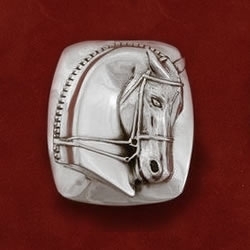 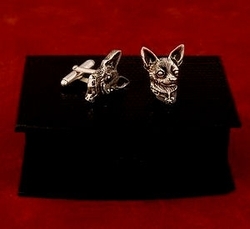 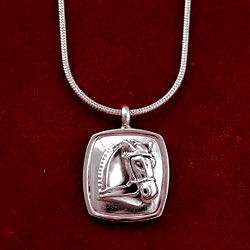 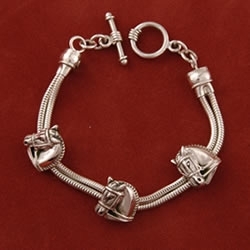 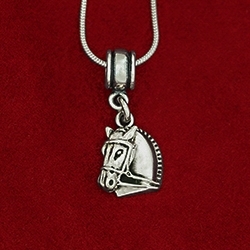 Horse measures 5/8″ wide by 3/4″ long All sterling. 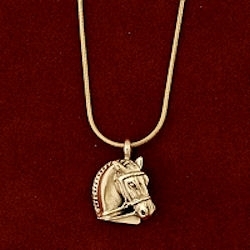 This smaller size is a replica of the 1700S.